Since the 1920s Eastman has been at the forefront of cellulosic yarn innovation. This week at OR the textile innovator will introduce Naia, a fabric technology made from wood pulp sourced from sustainably managed pine and eucalyptus plantations and forests with no deforestation of the lands where the trees grow. By virtue of the hypoallergenic nature of the fiber, fabrics made from Naia are next-to-skin friendly, comfortable to wear, and naturally wick moisture. 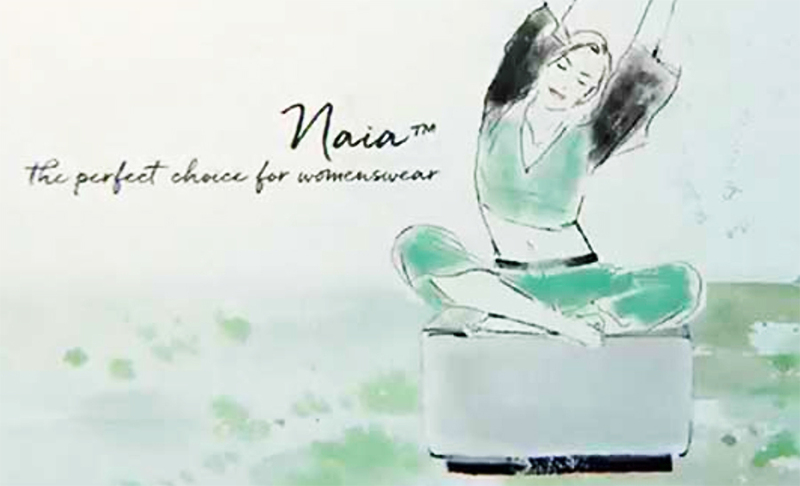 Naia can be used alone or in blends with other fibers to create fabrics that are suitable for apparel applications. The yarn is produced in a closed-loop production process where safe solvents and water are recycled and reused ensuring that Naia has a low tree-to-yarn carbon and water footprint. Snow Angel, a brand exhibiting this week at OR, uses the bio-based Naia cellulose acetate yarn from Eastman in their collection of base layer fabrics. Designed by women for women, Snow Angel chose Naia to use in their 2019 Crush Collection of velour base layers, shown right, on view at this week’s show. The fabric is perfect for the functionality and fit of the garments. Snow Angel’s sister company, Hot Chillys, has been working with Eastman for several years to develop fabrics for its performance apparel line, and it was this partnership that led Snow Angel to adopt Naia.